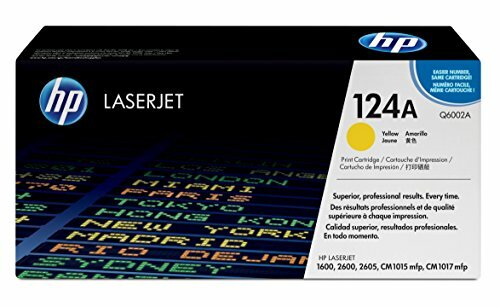 HP 124A (Q6000A) Black Original Toner Cartridge. 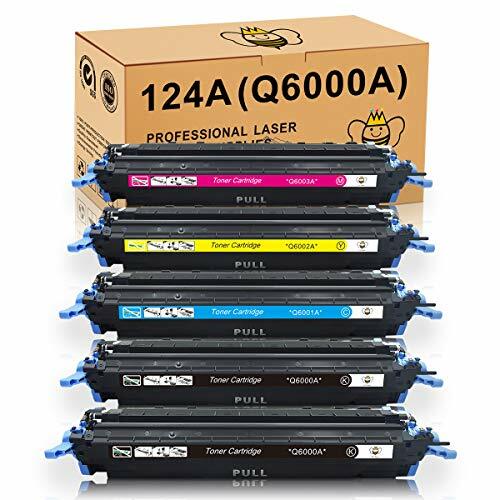 HP 124A (Q6000A) toner cartridges work with: HP Color LaserJet 2600n, 1600, 2605 1015, 1017 Original HP toner cartridges produce an average of 71% more usable pages than non-HP cartridges. Cartridge yield (approx. ): 2,500 pages. Original HP toner cartridges are specially designed to work with your printer to consistently deliver standout results throughout the life of your cartridge. Ensure that your printing is right the first time and every time with HP printer toner: 124A toner. What's in the Box: New Original HP toner cartridge Color: Black. HP 30A (CF230A) Black Toner Cartridge. 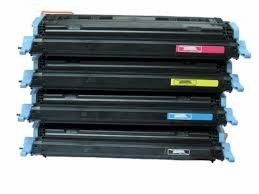 HP 30A (CF230A) toner cartridges work with: HP Color LaserJet M203, M227. Original HP toner cartridges produce an average of 71% more usable pages than non-HP cartridges. HP 30A toner cartridge yield (approx. ): 1,600 pages. Original HP toner cartridges are specially designed to work with your printer to consistently deliver standout results throughout the life of your cartridge. Ensure that your printing is right the first time and every time with HP printer toner: 30A toner. What's in the Box: New Original HP 30A (CF230A) toner cartridges Color: Black. HP 124A (Q6002A) Yellow Original Toner Cartridge. 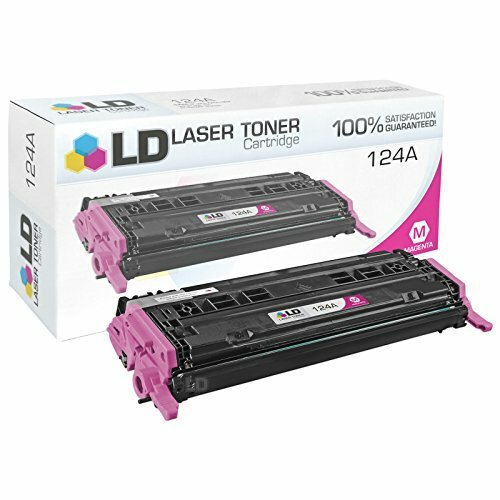 HP 124A (Q6002A) toner cartridges work with: HP Color LaserJet 2600n, 1600, 2605 1015, 1017. Original HP toner cartridges produce an average of 71% more usable pages than non-HP cartridges. Cartridge yield (approx. ): 2,000 pages. Original HP toner cartridges are specially designed to work with your printer to consistently deliver standout results throughout the life of your cartridge. Ensure that your printing is right the first time and every time with HP printer toner: 124A toner. What's in the Box: New Original HP 124A (Q6002A) toner cartridge. Color: Yellow. HP 85A (CE285A) Black Toner Cartridge . 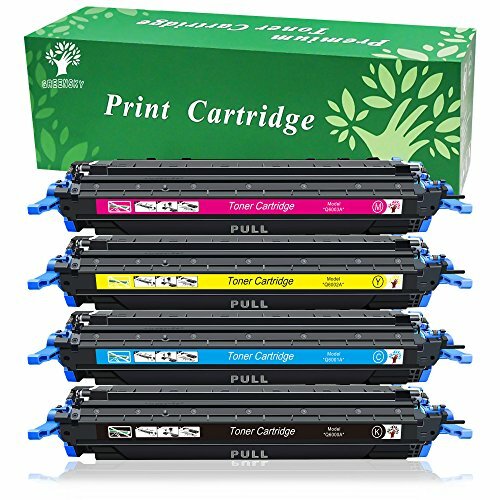 HP 85A (CE285A) toner cartridges work with: HP LaserJet Pro M1212nf, M1217nfw, P1102w Original HP toner cartridges produce an average of 71% more usable pages than non-HP cartridges. HP 85A toner cartridge yield (approx. ): 1,600 pages. Original HP toner cartridges are specially designed to work with your printer to consistently deliver standout results throughout the life of your cartridge. Ensure that your printing is right the first time and every time with HP printer toner: 85A toner. What's in the box: New Original HP 85A (CE285A) toner cartridge Color: Black. 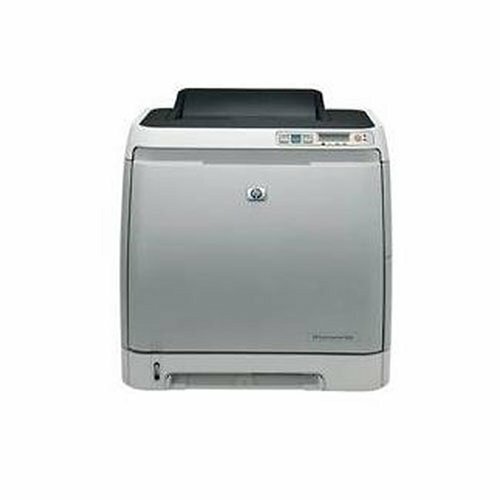 Looking for more Hewlett Packard Color Laserjet 1600 similar ideas? Try to explore these searches: Black Wood Platform Bed, Control Solenoid, and Twins Babies Photo. Look at latest related video about Hewlett Packard Color Laserjet 1600. Shopwizion.com is the smartest way for online shopping: compare prices of leading online shops for best deals around the web. 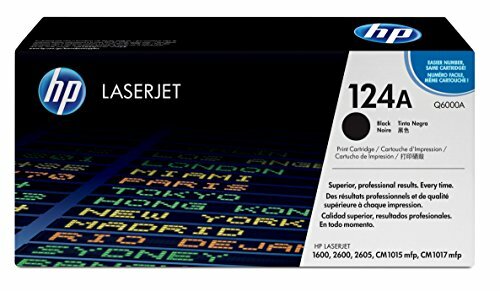 Don't miss TOP Hewlett Packard Color Laserjet 1600 deals, updated daily.